This ball is a robot. This robot is a ball. 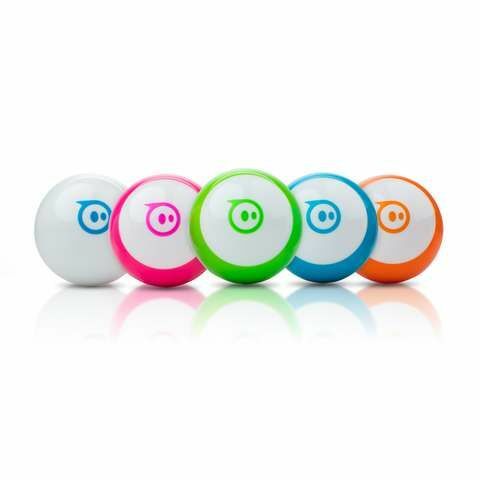 Drive Mini using different modes with the Sphero Mini app – Joystick, Tilt, Slingshot, or Face Drive. Face Drive - Face Drive is a hilarious new feature that uses your facial expressions to drive the ball. 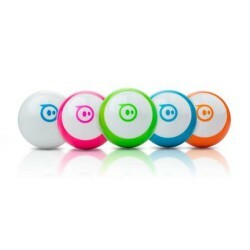 Gaming - Sphero Mini can be used with the app as a video game controller. Play 3 games with more updates on the way. Interchangeable Shells - Colorful, interchangeable shells allow you to switch one out to suit your mood.